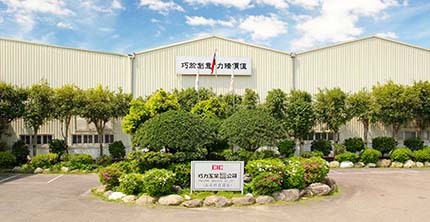 Serving a diverse client base around the world, CIC is a leading manufacturer and supplier of current transformers, potential transformers (voltage transformers), distribution transformers, epoxy insulators, electronic meters, and other electrical and electronic products. CIC specializes in the manufacture and supply of high-quality current transformers, potential transformers (voltage transformers), distribution transformers, electrical reactors, epoxy bushings, as well as other electrical and electronic apparatus. Headquartered in Taipei, with subsidiaries and factories in Taiwan, China, Malaysia, and the Philippines, CIC serves a broad range of industries and businesses around the world. For over 40 years, CIC products have been widely used in revenue and switchboard applications by power companies as well as major engineering and construction firms in the United States, Canada, Russia, Japan, and other countries. ERCTs for 600V power systems. Thermal Rating Factor up to 4.0. Offering 0.3 Metering Class Accuracy. Designed to be part of a Metering Outfit (MOF). Cast in Araldite® UV-resistant cycloaliphatic epoxy, these PTs are ideal for long-term outdoor use in various harsh conditions. 2-core epoxy-cast CT for a (≦) 24kV power system. “U-shaped top” safety design allows a shorter distance between two CTs installed side-by-side, reducing the required width of the switchgear panel.